*Ingredient amount can be adjusted to suit personal preference. 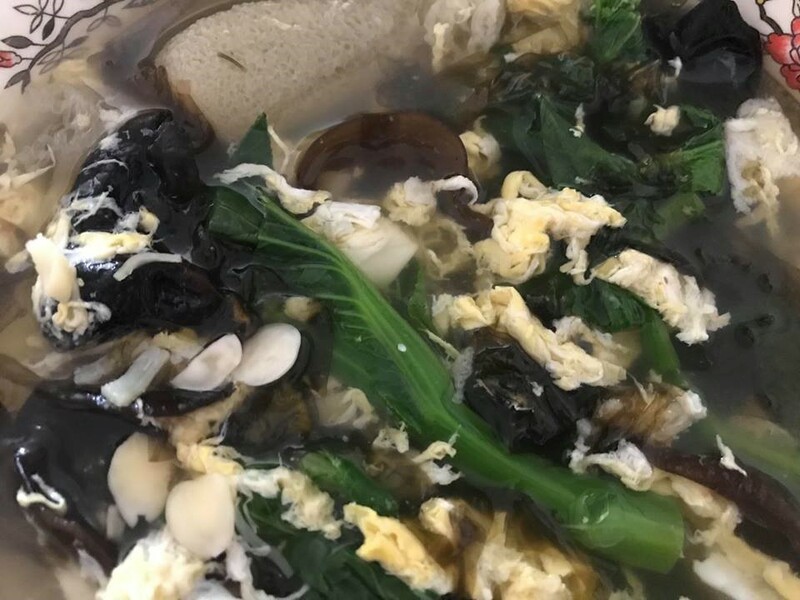 In a pot, put in black fungus, apricot kernels and ginger slices pour in cold water, and bring in boil for about 15 minutes. Add in bamboo fungus, tomato and keep cooking for another 5 minutes. Add in Choy Sum at last, beat in egg, salt, black pepper, black sesame oil. Cook for 2 minutes.